Tavares, pictured, has been criticized for accepting a pay increase while cutting jobs in France. 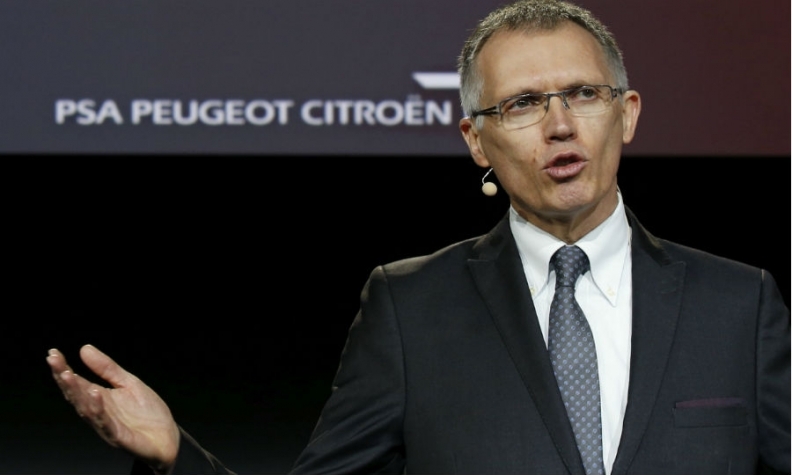 PARIS (Reuters) -- French Prime Minister Manuel Valls criticized a near doubling in pay for PSA/Peugeot-Citroen CEO Carlos Tavares, saying it sent the wrong signals to the automaker's staff and the French people. "I regret this increase, which does not correspond to the reality of the employees of this great company," Valls told RTL radio today. Tavares saw his total remuneration reach 5.24 million euros ($5.9 million) for 2015, including his fixed and variable salary and long-term incentives, up from 2.75 million euros in 2014, according to the company's annual report. The increase has sparked criticism in France with Finance Minister Michel Sapin calling it "harmful" and saying the two PSA board representatives of the French state, which owns 14 percent of the carmaker, voted against the increase. Tavares said on Wednesday he did not think the increase would disrupt upcoming labor talks with PSA trade unions. Unions have criticized Tavares for accepting a pay increase while cutting thousands of jobs in France. Valls called Tavares a "great leader," who had helped PSA return to profitability, but added: "the sentiment of not being connected to the reality experienced by the French people and staff, is a bad signal." Tavares left competing carmaker Renault to take the top job at PSA in early 2014 and lead the Paris-based company’s efforts to return to profit. The turnaround included a bailout that involved stake sales to France and Chinese manufacturing partner Dongfeng Motor Corp.
PSA posted its first full-year profit in three years in 2014, and last year earnings at the automotive division amounted to 5 percent of revenue, more than double the 2 percent margin goal for 2018. Tavares' total pay compares with remuneration of 7.25 million euros last year for Renault CEO Carlos Ghosn and 9.7 million euros for Daimler CEO Dieter Zetsche. Top European automaker Volkswagen Group, which has yet to announce figures for 2015, paid then-CEO Martin Winterkorn 15.9 million euros two years ago. France also owns a stake in Renault, and the state’s representatives on the board opposed Ghosn’s pay level, which held steady last year after almost tripling in 2014, for the past two years.